Let Paul guide you to achieve for your role the specific physical condition required by the due date. It can be difficult, confusing, and stressful to try to achieve a certain physical condition for a role. You have to “peak” your body at a specific time to meet the shooting schedule, and maybe the role even calls for a few transitions over time – gaining weight, losing weight, getting ripped, or presenting a more bulky look. In some cases, you may not even have a role yet - but want to position yourself for certain types of roles and open up your range of opportunities or establish your image and “brand”. In this way, you may be much like a body-builder (male or female), trying to get “ripped” for a competition, or bulk up during the off-season, and, like a body-builder, you have an immovable target date. The best person to ask for this type of physical feat is a bodybuilder – the specialists of physique conditioning, muscle building, and “peaking” or holding condition to a time frame. Even bodybuilders find this hard, and, as we are seeing with the advent of this app, even the experts have been missing half the picture when it comes to hypertrophy (muscle-building), relying much on genetics, guess-work, and luck. Hitting your peak on a given day is mostly to do with diet the few days prior to the shoot, but you have to be physically in the ballpark beforehand – possibly with more muscle – and this is a function of your training and diet in the previous weeks or months. Much like a script, you have to be 95% of the way there as the day approaches so the director can have you adjust the final 5% to meet his/her needs. If a specific physical presence is required, you want to train the most efficient way possible to make the transformation. 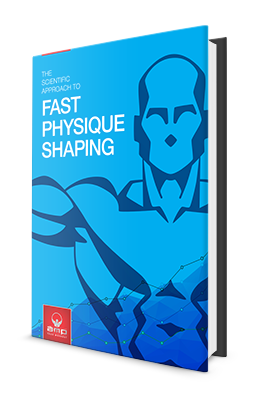 This is the same that body-builders have faced for 100 years – and is the exact solution that the app delivers. Celeb training for special projects will vary greatly from project to project as far as time to achieve the results and the commitment each week. This is something that I can advise at the initial consult by reviewing your current condition, training history, and the goal. Because of the importance and the large potential variations, these projects are approached on an individual basis. After an initial consult and review, I present a proposal of my estimates of what it will take – the time frame, the changes to the nutrition plan, the training requirements (days per week and weeks or months lead-in time) as well as any special requirements as the shoot approaches (for instance a role requiring a high degree of muscularity will require a “growth” phase for a few months and then possibly 8 to 12 weeks to get “ripped”, hence a specific peaking phase is required and this will be tailored each week based on how you respond to the diet and exercise. I travel and could be in your part of the world . . .